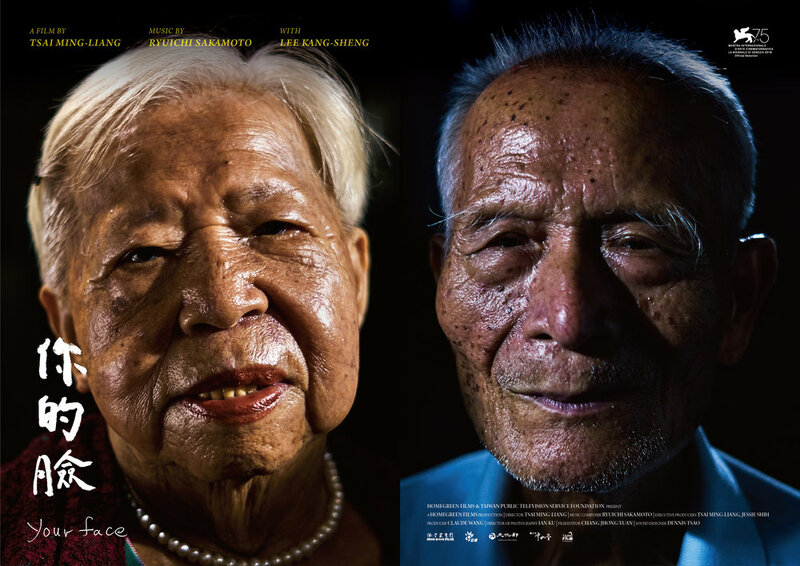 After last year's Virtual Reality film "The Deserted", taiwanese filmmaker and conceptual artist Tsai Ming-liang has made a minimalist film consisting only of close-ups of ordinary people's aging faces, hence the title "Your Face". The faces, which can be seen as the essence of Tsai´s film universe, are given careful attention and appear as cinematographic compositions, accompanied by the famous composer Ryuichi Sakamoto's distinctive tones. Some are silent and almost motionless, some fall asleep, others reminiscence from their long life with the director, who has a clear presence in the movie behind the camera. One of the faces belongs to Lee Kang-Sheng, his regular partner and lead actor for over 20 years, which can be said to be the starting point for his films. Specifically, how his face has changed in front of the camera in all these years. «All i can say is that his face is my cinema.», Tsai Ming-liang. Born in Malaysia in 1957, Tsai Ming-Liang is one of the most prominent film directors of the new cinema movement in Taiwan. In 1994, his film Vive L’ amour was awarded the Golden Lion award at the Venice Film Festival, and this helped establish a place for him in the world of international film. In 2009, Face became the first film to be included in the collection of the Louvre Museum’s “Le Louvre s´offre aux cineastes.” It has since become the benchmark for films venturing into the world of art galleries. In recent years, Tsai Ming-Liang has also moved on to installation art. His works have been well-received in Venice, Shanghai, Nagoya. Since 2012, he has been working on a long project to film Lee Kang-Sheng´s slow walk, cooperating with various cities and organizations. To date, he has completed seven short works. His 10th full-length feature "Stray Dogs"(2013) was awarded the Grand Jury Prize at the 70th Venice Film Festival. In 2014, he presented the critically acclaimed theater work The Monk from Tang Dynasty in arts festivals in Brussels, Vienna, Gwangju and Taipei. That same year, Tsai made history by bringing his movie Stray Dogs at the Museum at MoNTUE, the Museum of National Taipei University of Education. Director: Tsai Ming-liang. Producer: Claude Wang. Original music: Ryuichi Sakamoto. Photo: Ian Ku. Year: Taiwan, 2018. Language: mandarin, english subtitles. Running time: 76 min.